For 20 days we’ll avoid all food containing added sugar. To read my 20 Days No-Sugar story check here. Most processed food contains added sugar, even the ones you don’t suspect like ketchup, granola, flavored yogurt, salad dressing, and potato chips. Update: I’ve just published an article showing how you can quickly scan the nutrition label of a produt to identify if is high sugar, high salt, contains good fats or bad fats. Find the article here. Read any food nutrition labels you have at home and before you buy your groceries at the supermarket. That way you’ll know how much sugar is in your food. Food manufacturers also use a lot of different names in an attempt to disguise sugar so make sure you read this article on identifying “hidden” added sugars “61 different Names For Sugar”. What about naturally occurring sugars? Are they okay? Yes! Milk, plain yogurt, fresh vegetables and fruit contain sugar, and that’s totally okay. Eat fruit: Enjoy the natural sugar found in fruit. Make a fruit smoothie for breakfast. Try a Mango and avocado smoothie (with milk). Drink Milk or yogurt (I prefer kefir): Enjoy a yogurt smoothie as a healthy snack or a banana smoothie with kefir superfood for breakfast. 20 days. You’ll be impressed by the results and, after only this short time, you won’t want to go back to eating tons of added sugar like before. What can I expect once I finish this challenge? Reduce your calorie intake: When you eat less sugar, the two hunger hormones start to working properly and you feel fuller after your meals. No more all-day snacking and feeling constantly hungry. Enjoy the real taste of foods: Sugar often masks the real taste of food. Coffee and tea, for example, taste so much better once you learn to ditch the sugar. Be discipline, stay strong, and avoid added sugar in all forms. That means soda, sweetened beverages, candies, cookies, most breakfast cereals and processed food. Low sugar recipes can help you to avoid buying processed and fast food. Cooking your own low-sugar meals means you know exactly what you ear eating and that makes it much easier to keep your sugar intake low. Click to scroll directly to the video sugar-free recipes here. Kefir (more about kefir here) was an amazing discovery and I love to mix it with fruit. Fruit smoothies are also an easy and quick way to have fruit in the morning. Combined with kefir, fruit provides a healthy, light start to the day and the natural sugars taste great – all in under five minutes. Add some no added sugar muesli to your bowl of fruit and kefir for the perfect breakfast, available at amazon.com. I’ve put together all the sugar free recipes here so I could easily find and share them with you. They are easy, healthy, and of course, have no added sugar. Check the recipes, make your grocery list, and organize your meals. This will make the 20 No Sugar Days Challenge much easier. Amazingly, reducing your sugar intake does not have to mean no desserts. You still can have great-tasting sweet treats without the high levels of added sugar. My no added sugar dessert recipes here. For those of you who looking for more no-added sugar recipes, I highly recommend The 21 Day Sugar Detox by Diane Sanfilippo. Diane is a certified nutrition consultant and author of two New York Times bestselling books. The 21 day Sugar Detox is a simple program to help you to avoid added sugar with real food recipes, audio support recordings, and a expertly moderated forum to clarify your doubts and answer your questions. 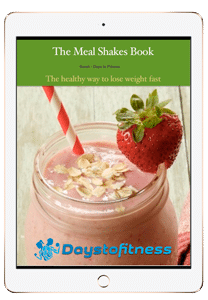 It includes a quick start guide to teach you what you need to know before start and there are several modification guides for athletes, pregnant or breastfeeding moms, vegetarians and pescetarians. Find more about this program in my review here. 1. Pick one day and mark it on your calendar. On your 21st day I would like you to answer these questions to understand what results you have achieved and how you feel, both mentally and physically. How many pounds have you lost? How would you describe your energy levels? What’s the major differences you feel today? Does a can of coke contain too much sugar? One can of 12 fl oz (335 ml) contains 39 grams of sugar. The American Heart Association recommends 6 teaspoons (24 grams) of sugar per day for women and 9 teaspoons (36 grams) per day for men. One can has way more sugar than you should have in a single day! The difference between added sugar vs natural occurring sugar? Unlike added sugars, natural sugars are present in food already. They are also accompanied by vitamins, minerals, fiber, and amino acids. As such they are healthy when consumed in moderation. Where can I find no added sugar foods? There are healthy sugar alternatives to enjoy, fight your sugar cravings and perfect for your 20 No Sugar Days Challenge. You can find some examples at “Looking for No-Sugar foods” article. How much added sugar should I really be eating? The American Heart Association recommends 6 teaspoons (24 grams) of sugar per day for women and 9 teaspoons (36 grams) per day for men. Why I should I reduce my added sugar consumption? The more sugar you eat, the hungrier you feel: Our hunger and satiety hormones (leptin and ghrelin), are responsible for informing the brain that we are full. When we eat too much sugar, they do not work properly and we never feel full. This leads to overeating and weight gain. Get tired and sleepy: Metabolizing sugar consumes a lot of energy. That’s why you often feel tired after eating a lot of chocolate or candy. Eating less sugar will give you more energy. Heart diseases: The liver converts excess sugar into fat which raises the cholesterol levels in your blood. High “bad” cholesterol levels are a major risk factor for heart diseases. These reasons are supported by studies by The American Heart Association, Harvard University, NCBI, and American Diabetes Association. This is a short version of our full article “5 Healthy Reasons to Avoid Sugar” that you can find here. Why do I see so many different names for sugar? Today, there are, 61 different names for sugar. This trick is used by food manufacturers to hide added sugars in food. I’ve published the list at “61 different names for added sugar.”. How to identify sugar on nutrition labels? Learn how to read and easily identify sugar on any nutrition label. I’ve created an easy guide called “How to Identify Sugar on Nutrition Labels”. During the first 3-5 days, you’ll probably feel the temptation to eat high-sugar foods like chocolate or drink soda. That’s normal because sugar is very addictive and your body has been used to high levels of sugar for a long period. Drink water, don’t think about it, channel your energy into distracting tasks to help you forget about sugar. Have a piece of fruit for a natural sugar fix. After a couple of days, these cravings will disappear and you’ll be free of your sugar addiction. What to do if I slip? What’s done is done. Don’t look back but, instead, look forward. Continue with the challenge; tomorrow is a new day. What should I do when having lunch or dinner out? Don’t be afraid to ask the restaurant if there is added sugar in their meals. Most sauces and salad dressings contain added sugar. Grilled and boiled food are usually safe options regarding added sugar. What about sugar on coffee or tea? Please, do yourself a favor and stop adding sugar to your coffee or tea. The first time it’ll taste strange, because with no sugar, you really taste the flavor of coffee and tea. After your 3rd coffee/tea, the strange taste goes away and will start enjoying more the natural flavor of different coffees and the differences between types of tea. A friend of mine asked me this question the other day. Honey is made of around 95% to 99% of sugar, so is it just another name for sugar? It depends, some honey is pure sugar while others have the good stuff. Depends on the type of honey you buy. Is it a healthier alternative to sugar? It also depends how much are we talking about. Learn more about the truth about honey here. Do you have any no sugar added deserts? What about lunch and dinner, do you have any recipes? Yes, and yes! You can find all my sugar-free recipes here. Most cereals contain high levels of added sugar. Check the nutrition facts and find a low sugar or sugar-free cereal. You may need to visit your local health food shop to do this. Where can I find all your posts regarding no sugar diet ? All my posts about sugar are on the category “no sugar diet” and you can find all of them here. Should I use artificial sweeteners ? Artificial Sweeteners have almost zero calories so what’s wrong ? My full answer with all my thoughts and worries about artificial sweeteners explained here. Although Agave comes from a plant and we may think it’s “natural”, the truth is that is so processed that all the natural nutrients are lost on the process of making commercial agave nectar. I’ve shared a complete article about Agave and 3 healthy alternatives to agave and sugar “Is Agave Good for You ?“. Remember: the idea here is to get rid of sugar addiction so for 20 days you have to avoid sugar and any of it’s alternatives. After the 20 days, your sugar addiction is most probably gone and only after that I recommend using the healthy alternatives to sugar that I recommend on the Agave article I mentioned before. Can I use Shakeology when I’m doing the 20 day no sugar challenge? Thanks for your comment. Yes, of course. I do avoid added sugar but I eat, and recommend, to eat fruit. Fruit provides nutrients, vitamins, fibers and natural sugar, very important elements to our body. Have a great day. how many pounds are you going to approximately lose? Thanks for your comment. I can’t give you an exact number. AlthoughI can promise you, you’ll lose weight. But it all depends how much sugar are you eating today and how much can you stop eating. Give it a try for at least 10 days, no added sugar, only natural occurring sugar like fruit, milk, etc no soda, candies, chocolates, or any processed food. I’m sure you’ll lose weight, get more energy and way more relaxed. Focus on fighting the cravings and I’m sure you’ll love your days without sugar. Hope I’ve helped, have a great day. Hello, thanks for the great information. Can you eat air pop popcorn? Sara! Starting this 20 day challenge tomorrow, I need it… Now just a quick question, when you say 24 grams does that include natural fruit, do you measure the grams in the fruit??? I like bananas a lot but know that they are quite high in sugar. Also, did you cut out white flours (bread, pasta) and change to whole what for this challenge? Thank you so much for getting this information out to us! Thanks for your comment. Natural occurring sugar (fruit, milk, etc) does not count for the 24 grams. 24 grams are only for added sugar. There are a lot of different opinions here, I love fruit and fruit provides a lot of vitamins, fiber and nutrients very important to your body, and the natural occurring sugar in fruit is not processed the same way as added sugar. All to say, I’ve fruit every day on my breakfast, what I avoid is all kinds of added sugar, which means, avoid processed food, avoid/reduce adding sugar to my coffee/juices/smoothies, no more sodas. White flours would be an extra step. If it’s your first time trying to get rid of sugar addiction, I would start by the ones I’ve mentioned before. Once you’ve done that first step than you can start with other carbs like bread and pasta. Hope I’ve helped. Have a great day. Thank you for making this website I was actually curious about it. I am not the slimmest for my age and I hope that with this diet I will become a bit more fit. Sara before i seen your post i quit sugar & carbs over a week and the pounds just melted. 11 pounds in just two wks. I do eat a very very small portion of whole grain but i donot include carbs in every meal. I still eat a balanced meal everyday and even nuts as a snack so i am never hungry and the pounds are just dropping. For many many years I would excercise daily for atleast an hour but the weight would come off slowly. Until my doctor told me sugar was my culprit in which i already knew he just confirmed it. Once I decided to give it up for good the cravings also went away as well. I plan on losing more weight naturally and finally take back my life with healthier choices . Thanks for your comment. I was so surprised when I start reading about sugar, I didn’t had any idea how sugar can really make you fat. That’s why I decided to read, investigate and publish so many articles about the subject. It’s not easy to say no to sugar, but it feels so good to enjoy your life without sugar. Have a great day. That is awesome Deb 🙂 This gives me hope and as difficult as it may be it sounds reasonable and doable . I’d like to point out that there’s lots of sugar in fruit, especially smoothies. One apple contains 5 teaspoons (19g) of sugar! That’s over half the recommended daily intake. Fruit may contain “natural” sugar, but they’re still sugar. Eat fruit in moderation, eat more veggies instead! i just found out that I have to stop eating sugar. My nutritionist said to limit my fruit intake to one serving per day and to NOT have smoothies. She said it doesn’t matter if its natural sugar, its still sugar and should be limited. I’ve been following her directions for 3 weeks and have lost 17 lbs. Miss having my morning smoothies but I don’t miss the weight or lack of energy. Hi Carrie. Thanks for your comment. That’s very good results! From what I’ve read natural occurring sugar in fruit is processed in a very different way as fruit contains fiber and vitamins. Your body processes and absorbs natural sugar in a very different way than added sugar. Plus fruit adds a number of vitamins that are very important to your organism. You can read more about this topic on my article Added Vs Naturally Occurring Sugar. Most importantly, on my opinion, is to avoid the consumption of added sugar, by reducing high sugar foods like breakfast cereals, soda, energy bars, candies, cookies and most of the processed food snacks. It’s not just the weight you lose, is the energy, focus and better mood you get back. Have a great day. Does wine contain added sugar? Thanks for your comment. Yes wine contains sugar, but an occasional glass of wine (say 2 per week) is not a “threat” for a no sugar diet. Hi Sarah, I was wondering if it was allowed to consume stevia leaf extract on the diet. Thank you. Thanks for your comment. Stevia is not a problem regarding the 20 no-sugar days diet. But I would recommend you, instead, go for Pure stevia, for example this all natural stevia available at amazon.com. I’ve recently published an article about stevia that you can check here. Have a great day. Is there away to have no sugar at all…like not even natural sugars from bananas or stuff like that? Thanks for your comment. If you avoid all type of sugars, added-sugar and natural occurring sugar, you’ll have a zero sugar diet. But our body need a few amount of sugar, besides fruit (which contains natural occurring sugar) provide also fibers and vitamins which are very important and needed to our organism. I recommend avoid all type of added-sugar but I would not recommend avoiding the natural occurring sugar. Have a great day. I was going going to ask about Stevia, too. Thanks! Also, how about raw honey in moderation? Pure Raw Honey is high on natural sugar. I use it very rarely for my muesli breakfast. I would say that instead of moderation, try not to use it frequently. Avoid the habit of using honey everyday or several days on the week. Have a great day. If it’s low sugar or sugarless it shouldn’t be a problem. The idea with this challenge is to change and create new healthy habits. Avoid sodas, don’t put sugar on tea or coffee. Reduce your sugar intake, this way you’ll not only lose weight but you’ll find the true food flavours and get rid of your sugar addiction. Hope I’ve helped. Have a great day. What is better- skim milk vs almond milk. Which is better for the 20 day diet!? Better or worse that’s hard do say, they are different. Unsweetened Almond milk is lactose free, no saturated fat, and no cholesterol plus has less calories than skim milk. However Sweetened Almond Milk has more calories than Skim Milk, so be careful when buying. But Skim Milk has one weight loss advantaged, it contains more protein than almond milk, meaning, your body needs more energy to breakdown protein so you burn more calories and the fact that skim milk contains fat, makes you feel full for a longer period. Conclusion, my personal opinion, drink the one you prefer, don’t add sugar and avoid drinking more than 1 cup per day. Hope I’ve helped. Have a great day. Thanks for your comment. Simple carbs like sodas, cookies, juices, cereals, usually contain high level of sugar and this type of carbs should be avoided to reduce our consumption of added sugar. Complex carbs, like quinoa broccoli and beans, containing fiber very important to our diet and they take more time to be digested so you feel full for a longer period, reducing cravings, and less cravings means less food so less calories and boom we lose weight. In this challenge I just wanted to motivate you to get rid of sugar addiction. Once you’ve done that you can go a step forward and reduce processed grains like rice and pasta, and substitute with whole grains such as quinoa, buckwheat, and whole-wheat pasta. And start a low carb diet, I’ve shared a simple and easy low carb diet here. Hope I’ve helped. Have a great day. Can i eat honey in this 21 diet?even if it is not a 100% natural honey? Thanks for your comment. Sure, once in a while honey is not a problem. The major problem is that too many people have over 35 grams of added sugar per day (1 can of coke is 35 grams, the max added sugar we should have in one day). Occasional added sugar is not the problem, the problem is the unhealthy habits of having too much sugar every day. The idea here is to remove those unhealthy moments of your life. Good luck with your challenge. Have a great day. Thank you for this. I see you can have brown rice can you have brown pasta too? Sure, whole grains are very healthy and specially helpful to lose weight as our body takes long time to break them so we fell full for a long period of time. Have a great day. Thanks for your comment, that’s a very interesting question. I started to answer here but quickly my answer start to get longer and longer so I decided to post an article just to answer your question. You can find my answer here. Hope I’ve helped. i’ve been on this diet for 28 days now, and i can safely say this is amaaaaaaaaaaaaaazing! what about chocolates :D, can i give myself a free day? how frequent? Wow Congrats, You’ve done it ! I’m so happy to read your words, because I felt exactly the same once I finish my 20 no-sugar days challenge and that’s the main reason I want to motivate others to do it ! No problem on going with zero added sugar, because you have natural occurring sugar on fruit and milk. But now I would like to ask you ? First, don’t you taste food in a different way ? Don’t you found fruit to taste more sweet than before ? And, when you have a high added sugar chocolate or ice cream, that you can only eat a little bit as it taste too sweet ? To answer your question, of course you can have a free day or 2 days or even every day, as your body will naturally feel that’s enough after a little bit of sugar. You’ll feel that only a little bit of added sugar is more than enough. Now you can enjoy sweets without overeating and constantly looking for more and more. Thanks a lor for sharing your experience, and I’ld love to know your answers of my previous questions. Thanks and have a great day. Sorry for my late reply, well i feel that i taste things a lot better now, i mean it’s as if the taste buds have higher sensitivity now, for me fruits have become so much sweeter now, i can actually get over a sugar craving by eating an apple (which was never the case before), i haven’t had any chocolate or ice cream in my last 35 days but i did once eat a cookie which was way too sweet, i mean it was nice but just too much. do you have any recommendation of how many chocolates i could/should eat a week/month, i really don’t want to lose what i’ve done. i feel way more energetic, i sleep a lot better, i don’t crave food as much and i’ve lost a lot of belly fat!!! Wow that’s awesome. Thank so much for sharing your feedback ! Getting rid of my sugar addiction changed my life, that’s why I started to read more and write about added sugar and hopefully one day I could motivate others to start the change. Answering your question: before, I had a real issue with chocolate, I couldn’t stop once I started ! Today I still love chocolate and I avoid having too many, or, sometimes I go for dark chocolate (not so sweet, not so much sugar and it’s way more healthy than the usual chocolates). I can’t tell you a number, but enjoy your chocolate once in a while and if one day you get too much well, no big deal, just avoid having a lot of added sugar constantly every day. Hope I’ve helped and, once again, thanks for your words and hopefully we can motivate others to start their own 20 No-Sugar days challenge. I’m thinking of participating in the no sugar challenge and I was just wondering if all sugar (except natural sugar) is banned from consuming? Also is Honey allowed? Thanks for your comment. I don’t like the idea of “banned”, it’s a choice of not having added sugar, or at least, a decision to reduce the consumption of added sugar on our diet. Natural sugars are needed to our body as fruit provides also vitamins and fibres I would never remove fruit from my diet. Sure, enjoy some honey if possible pure honey, just don’t abuse. Remember, the idea is to change our habits and remove the insane amount of sugar that most of us had (or has) on our diet. Do the change and you’ll feel a huge difference on your life, it’s not a promise it’s a fact ! Don’t trust my words, give it a try. Have a great day. Of course not. The idea behind 20 days, is to create a challenge to yourself. And, if you do 20 days reducing or totally avoiding added sugar you’ll get rid of your sugar addiction and I’m pretty sure (because it happened to me and more people) that after that period your body will tell you when you had enough sugar. You get in balance with your body and you’ll naturally know when you had enough sugar for the day. It’s not a question of “can’t have it” but “don’t want more” it’s a totally different approach. Good luck with your journey and if you feel like it, share your experience with us. Thanks. Have a great day. Hi Sarah, thank you for these super informations. İm so motivated,after reading your article! Thanks for your comment and thanks for your kind words. Good luck for your journey and keep that motivation high ! What’s wrong with Agave? It’s plant based and isn’t processed. Thanks for your question. It comes from a plant but it’s highly processed, loosing all the good nutrients that can be found on Agave. I do not find it as a healthy alternative to sugar, I’ve shared my thoughts about Agave at “Is Agave Good for You ?” and also healthy alternatives to agave and sugar. I’ve also included your question, along with Helen’s question, on the Questions and Answers section of this challenge so readers can easily find it. If you have more questions regarding this challenge or any other topic, let me know, write your comment and ask me your questions. Have a great day. Wondering if blue agave nectar can be used in place of sugar? How bad the sweetners are? I usually have 2 Truvia sweetners in the morning! Thanks for your comment. Truvia is an artificial sweetener and I’m not a fan of artificial sweeteners and I’ve shared my reasons on this article “What is Wrong with Artificial Sweeteners ?”. Would i b allowed raw sugar? Thanks for your comment. I don’t like the idea of allow and not allowed. You can have whatever you want, but, if we want to get rid of our sugar addiction we choose not to have any kind of sugar for 20 days, so our brain don’t crave for sugar every now and then during the day. If you are allowed raw sugar ? Yes, if you are allowed drinking Coke, yes . But, if we CHOOSE to get rid of your sugar addiction we choose NOT to have raw sugar, added sugar, Coke, and all processed food high on sugar. It’s a choice, we choose NOT to have added sugar, so we can after 20 days be free of our sugar addiction and enjoy a healthier life with more energy, focus and less weight. It’s an option, it’s our decision, is not imposed, is because we choose to change our habits for better and healthier habits so we can enjoy a better life. This was and still is my mojo, I choose NOT TO instead of I’m not allowed to. If you think about it, is a huge difference and much more motivational ! Have a great day. Hi Sarah! I love your artical! i’ve been thinking on getting on a diet recently and didn’t know which one, and since i read your artical, i decided it was best and easy. So, tomorrow i’m going to start! I keep on saying “i’m going to start MONDAY”, but it seems i eat more, then Monday comes and goes(AGAIN)! So, after reading your artical, FOR SURE it’s tomorrow!!!! Thanks for your comment. Everyday is a good day to start making a change, and today is Monday ! The first step is the hardest, once you feel the first benefits you’ll feel so motivated that you will want to avoid as much sugar as you can. Don’t think twice, start now. Good luck and have a great Monday. You make a strong case for using no artificial sweeteners yet stevia is in your dessert recipes. Why is stevia allowed? Thanks for your comment. Stevia is a natural occurring sweetener, is not an artificial sweetener. Stevia is often confused with Truvia, a trademark artificial sweetener. I’ve recently published an article about Stevia What is Stevia and Is It Good for You ?. Hope I’ve cleared your doubts. Have a great day. Hello,was wondering if I could eat bakenets.fried pork skins? Hi Sheryl, Check the nutrition information. How much sugar it contains ? In this challenge the goal is to avoid all kinds of added sugar. But you don’t have too, it’s a matter of choice. Do you choose to avoid all added sugar for 20 days and enjoy the benefits after the second day ? Or do you prefer to continue with the same habits we had before ? Make the choice, some discipline, and soon you’ll feel the benefits. Don’t need to trust my words, you can feel it by trying it. Good luck. Are things like dried fruit or fruit juice ok on this diet, or things like muesli with raisins with no added sugar. It’s all allowed in this diet. It’s up to you, to us, to all of us, to make a choice, we want to perpetuate the habit of consuming more and more sugar everyday ? Or we want to get rid of sugar and enjoy more energy, more focus, clear thoughts and no more cravings? In this 20 no-sugar days I recommend no sugar at all, so you clear your body and enjoy a diet with no sugar at all. Muesli usually is very high on sugar , check the food labels. Good luck with your journey, don’t give up, just some discipline and you’ll feel the results, and it feels so good. Can i still drink lipton green tea or do I need to switch to diet? Usually commercial teas are high on sugar, I do prefer prepare my homemade green/black tea with no sugar. I also like to prepare lemon water “tea”. Wash one lemon, cut in pieces, and put inside a tea jar (so it doesn’t break with hot temperature). Pour 4 cups of hot water (not boiling). Wait 15 minutes. Then start drinking it. Lemon contains so many properties, your skin will love it, protect your kidneys, remove joint and muscle pain and it’s so easy and cheap to prepare. Once you’ve drunk it, pour 4 cups of hot water again, and enjoy another lemon water. Right now, this is my favourite morning drink to start my day. Have a great day. Thinking of limiting my sugar intake as my Dr frowns on lowering my calories any more than what I’m currently at as I tend to become hypoglycemic… I wondered though about sweeteners… I like to use monkfruit in my coffee and tea… Not much but just a pinch to bring out the flavor in what would otherwise be bitter or bland drink. How do you feel about monkfruit as a sweetener? Is diet soda allowed on the detox? Hi Molly, Thanks for your comment. Diet soda does not contain sugar but it contains artificial sweeteners. Artificial sweeteners may be calorie free but they make you crave for even more sweet things making your sugar addiction stronger. I’ve posted an article about it What is wrong with Artificial Sweeteners. The goal with is challenge is to change your sugar habits to get rid of your sugar addiction. Sodas are, in general, high on sugar or high on artificial sweeteners. I strongly motivate my friends to stop drinking this kind of drinks, or at least during 20 days so you can see the benefits from your experience. Have a great day. Do yuo no if lettice leafs contane any aded sugers. Yes, I know. First days without sugar can be rough. Yes, fruit contains sugar and some fruits contain more sugar than others. Fruit contains naturally occurring sugar, along with fiber and vitamins. Which makes the sugar absorption on our body in a very different way than added sugar. You can find what I’ve learned about this topic here Added Vs Naturally Occurring Sugar. Good luck with your journey and have a great day. I decided to do a 30 day no added sugar detox and while doing some research i came across you article. It definitely helped with some guidelines and was able to get some great meal ideas from the different recipes you have. Having finished the 30 days, I can say that I answered yes to every question. Energy is up, i feel great, sugar cravings are low and I lost ten pounds! (crazy) and i was never a huge on sugar or sweets! But when you look at labels you see that almost everything canned, pre-packaged or frozen contains sugar! So this really helps you get back to the basics. Whole grains, fresh fruits and veggies, home cooked meals and snacks etc. so you really know and pay attention to what you’re putting into your body. My only warning is the first few days are REALLY hard lol i guess i didn’t think it cutting out sugar would effect me much (i was VERY strict for the full month) but by day 3 i was angry and very irritable! lol but if you push through it passes and the craving subside and it get easier and easier to pass up sugar. Also if it has a nutrition label READ IT! lol i messed up a few times thinking “why would they need to add sugar to dried fruit? it has natural sugars…” not the case lol They sneak it into everything! In the end it was hard but very worth it, i feel great! Though i probably won’t remain as ridged about added sugar, i think everyone should give this a try! If only to see how big of a role food and what you put into your body can effect you physically and mentally! Thanks ! Woooowww thanks a lot for sharing your experience! This is truly what keeps me motivated to continue Days to Fitness. You’ve made my day ! Thanks again ! Have a great day ! I’m new to this kind eating would you be able to suggest like a sample menu for a day just to give a idea what kind foods to eat and how much ,I’m really wanting to try your 20days no sugar and Id like to lose like 20lbs so I’m gonna start exercising right away .Your help is really a blessing if you could please and Thank you . Thanks for your comment. That’s a good idea. I’ve recently published a new challenge with a meal planner (Low Carb Week Challenge, you can see it here). I will share a meal planner for this challenge. The best option is always prepare your own meals. This way you know exactly what ingredients are used. Plan meals in advance for your busy week. You can check my sugar-free recipes here. There you can find breakfast, lunch, snacks and dinner recipes. Good luck with your journey! Thanks for your kind words. It’s my pleasure to share and motivate others for life changing challenges like this one. Good luck with your journey ! Have a great day. Great article. Thank you for sharing. Can you suggest me something to reduce thigh muscles and side butts. Thanks for your comment. I would suggest daily walks (minimum 20 mins, more would be better). Or start running. If it’s your first time running start slowly, and with time increase the duration. You can also do some legs stretching exercises. I’m working on exercise routines, like stretching and core exercises to that might help you. You can find it here. I will publish more home workout routines soon. Have a great day. I have probably tried every diet you can mention and all I have gained is more weight. I saw a friend who I have known to be “large” for a long time who is suddenly smaller. I was amazed at how much weight they had lost in just a few months. When I asked them what diet they were on, they said it really isn’t a diet. I just stop using sugar. If not using sugar can do this, count me in. Allow me to put this way: don’t trust my word, nor your friends’ word, nor any of the comments on this page. Try it and experience the results yourself. It’s just 20 days. It’s a simple challenge. It may not be easy on the first days but I promise, you will lose weight. Give it a try ! Have a great day. Thanks for your comment. Yes, the first days are harder but always after better days will come. To keep you motivated, I can ensure you that if you avoid sugar, you will feel more energy, better mental focus, less bloated and you will lose weight. You will most certainly feel it after the first week. Cravings are your biggest enemy, but only if you allow it. Let me explain it. Cravings will ask for a snack, for a candy or a sweet. If you never turn off that thought, cravings will grow and make you crazy. If you don’t think about it, cravings lose power and go away. You might feel anxious, due to cravings, use that energy to run, to read, to dance, to listen to music, to exercise, to do push-ups, to sing, to do something instead of thinking about sugar and sweets. I’m not saying that is easy, I’m saying it’s totally doable and possible. You just need some commitment and ideas to overcome cravings. And the next day, you will feel better and proud of your sacrifices. Good luck with your journey. This all makes sense. And a lot of times, I feel guilty that I do not read, or dance more for example, but I often wonder what the difference between watching TV and reading is for example… I understand the stigmas with TV watching, and that reading is a more praised activity and perceived as more ‘sophisticated’ than watching TV. It is true, I do ‘feel’ better when I read opposed to watch TV, for example, but is it the stigma with TV watching that makes it a negative experience, and the perception that i am doing something “good” when I read that makes it more rewarding..? How much of what feels rewarding is due to complying with the expectations and perceptions of ideologies that are constructed in the first place… For example, in the 18th century, women in upper-class British societies defined what ‘femininity’ was. (There is imagery we are all familiar with that illustrates this.. ‘Bourgeois’, ‘Edwardian’ (stylistic) and as far as values; submissive, purity, piety, domestic.) This ‘trend’ manifested itself into reality. Most women CHOSE to be this way and act this way, so when a woman was ‘wild’ or ‘adulterous’ she was shamed and seen as vile and sinful. People will wholeheartedly argue that it IS wrong to be sinful, and it does make you feel ‘bad’ (the rejection). And those who follow the rules are ‘good’ and then rewarded socially and in return, FEEL better. Bit philosophical and less about health, but if wonder if mental health is relevant and as important and/or the same thing as physical health. Hey Sarah, i’ve recently started this challenge. I was wondering whether or not you recommend us eating white potatoes and white rice? and do you have a link explaining why white flours or white rice should also be avoided? In this challenge, the primary goal is to avoid added sugar on sodas, commercial cereals, candies, chocolate etc. You can go one step further and reduce refined carbs like potatoes and white rice, but that would fit better on my other challenge Low-Carb Week Challenge. I cover the differences of good and bad carbs for weight loss goals, in the article Good carbs vs. Bad carbs for Weight Loss. Hope I’ve answered your question. Have a great day. I’ve known the last few years that I’m definitely a sugar addict – waking up every morning and going to bed every night thinking about what I can stuff into my mouth. I read your ideas/plan as well as the posts from everyone. Very inspirational! So starting August 28th I took the plunge. I’ve lost approximately 12+ pounds since then. But it isn’t the number that excites me. I feel free! Last weekend, I actually enjoyed a small piece of toast with crunchy peanut butter and a glass of water. I didn’t need jam or apple juice to hide the flavour and texture I was craving. I’m learning how to incorporate more proteins and have cut back on refined carbs. Definitely have to since I hit the big 50 in June. I look and feel healthy again, like me again. Of course, I have to be honest that anything sweet will always be my nemesis. But now, I remember all the other flavours of foods that are out there and can keep sweets either at bay or a quick nibble to satisfy my desire. Thank you! Hi Michelle. Woow that’s amazing. So happy to know that you’ve found your way to get rid of your sugar addiction, that’s such an important step on our journey. Thanks a lot for taking the time and share your story. I’m sure it will inspire others to start their sugar detox. Allow me to share my short story: I’m so happy that one day I decided to learn and write about sugar. My goal was to cause awareness about the sugar problems and motivate others to ditch or at least reduce the amount of sugar in their daily diet. But I have to be honest I never expect that so many people would read this article or even get motivated to do this challenge. So happy, so thankful. I promise I will keep on doing this and find more interesting topics and create interesting challenges to help us improve our lives. Have a great day. Hi, I wish I would have seen this site sooner. I Just finished a 28 day no processed sugar, no gluten, no dairy and I feel so great! Although it Didn’t start out that way, I went through quite a detox but the benefits were so motivating. After day 9 I really started to feel the benefits rather than just feeling yucky. At day 28 I had energy I hadn’t seen in years and the physical improvement was also great! So excited to read through your blog as I plan to stay the course with my new eating lifestyle. Thanks so much in advance for the additional knowledge I am about to gain. Getting off processed sugar seemed impossible when I first thought about its, but ended up being so much easier than I would have ever known! Especially after you feel and see the results. Hi Kris. Thanks for your kind words, it helps me to stay motivated and keep on working on this project. More challenges are about to come, I just need some more free time. Thanks for your story and feedback, hopefully, this may be the trigger to motivate others to start the challenge and get rid of sugar. HAve a great day. I am keen in starting this no-sugar challenge but I am a sweet tooth. I wonder if there are any sugar in nuts and whether i can replace my sugarfree mints with nuts instead. No added sugar in nuts. You can also have fruit. Fruit contains natural sugar along with fibers, vitamins, and essential minerals. Good luck. wondering can i use raw honey??? Yes you can. I would only recommend not to calm your cravings for added sugar with raw honey. Depending on your actual added sugar intake, your cravings will try everything for something sweet, resist and follow the plan. Raw honey once in a while no problem, but constantly having raw honey defeats the purpose of a 20 no sugar days challenge. Have a great day. just on cutting out most sugar from her diet . Even though it’s coming up Christmas it’s all the more reason to start now. One question . How do you feel about maple syrup as a substitute once in a while ? Thanks for your response and have a great day. Thanks for your comment. You are right, it’s always a good time to start. You will love the extra energy and lost pounds after it. My personal recommendation is that on the 20 days during the challenge, do not substitute sugar with anything besides Fruit. If cravings are making you feel crazy, eat some fruit. Once you finished the 20 days, then you can slowly have some sugar once in while. Why is that? Once your sugar addiction is almost gone your body is more in balance and you will naturally know when you’ve had enough sugar. Enjoy the journey and remember that after a bad day always comes a better day. Have a great day ! My family is starting this after seeing some programs on how sugar affects us, and how the food industry really is killing us with the added sugar the put in everything to make us addicted to it. It’s woke us up and we are tired of it. We started 5 days ago, and are doing very well! It helps to have a balanced view of it and not cut out fruits. We’ve had plain Greek yogurt or cottage cheese with thawed frozen blueberries and pineapple for dessert, and it has curbed any cravings. We also make sure we don’t go too long without healthy food, so we don’t get to the ravenous point. Even though it seems we are eating all the time, I’ve been eating about 400-1000 calories a day just by cutting out the crap! I can’t wait to see how we feel after 10 days, we feel like we are in the right track so far! Your blog is helping to keep me motivated! Thanks for the tips and recipes! Hi Lyn. Thanks for your kind words and for sharing your feedback. I do try my best to motivate and help others to find a better and easy way to enjoy life. Your words help me to motivate to keep on posting new content. All the luck. Hi! I’m confused about “sugar alcohols” and if those are considered added sugar or sugar alternatives for this challenge. My protein powder I drink in the mornings contains no added sugars like sucrose or cane sugar, but it does contain a few grams of erythritol and also stevia. I can’t tell if those are okay or cheats, please help! What is a good snack when you are on the 20 no-sugar diet? Sarah you should be charging for this. You are changing lives here! I start tomorrow. I’ll update on 16th Feb(wanna push it to a month-its a little ocd, I know). The hardest for me will be bread.. keep up your positive energy and spirit! I have been reading all these blogs and I am going to start this 20 day. But here’s the thing, I am a busy on the go mom who has 2 boys in sports which means practice weekly and therefore we just do the fast grab of whatever so we can get back home to do homework and showers before bedtime (as I am a mom of no late school nights). My hardest thing would be finding meal ideas that are quick but also nutritional to follow the no sugar challenge. My husband is a meat and potato guy so I have to keep that in mind as well. Do you have any fast and easy no sugar recipes that you could share? I want to do this in hopes of getting my oldest off of sugar as well as myself. Hi Stacy, I’ve all my low-sugar and sugar-free recipes organized here. Prepare food in advance and freeze it. That’s what I do for busy weeks, maybe that also works for you. Good luck. Thanks,Sarah for the article – very helpful and summaries things really well. I started with the sugar free diet and it’s been close to 10 days. Though, it has help me we aware of what I was consuming earlier, however I’m not seeing any reduction in the weight? Do you think this would be because I eat a lot of fruits? Thanks! Fruit is never problem, fruit is always the solution. I will explain that in a minute, but first: how do you feel in terms of energy? how’s your mood?. Depending on how much sugar (sodas, candies, cookies, fast-food, bad carbs) you were eating before, more or less weight you will lose. I would like to motivate you to finish the challenge, focus on your energy, feel the differences on your mood, let the cravings go, feel the sugar addiction losing power and you will feel the power back to you. Sounds crazy ? Is even better. Please keep on, and let me know your feedback. Fruit: I always eat as much fruit as I want. Fruit contains a lot of fiber, loads of nutrients and sugar. But the way this sugar is digested have nothing to do with artifical added sugar (find more here). Fruit is very easily digested and your body uses all it’s components. I always prefer fruit over any kind of carbs, meat or fish. You can go one day only on fruit and you will feel great, that may sound crazy but there’s nothing like to give it a try 🙂 Don’t want to create any confusion, but fruit is the most natural & healthy food that we can eat. Have a great day and all the luck . Thanks, Sarah for your reply. In terms of energy I feel good and better with moods. I think I am moderate on sugar, so that could be one reason, I am losing slow. I am all in for the challenge and my target is 30 days :). Thanks for the confirmation on fruits, this helps. I will keep you posted how this goes from here. Thanks for sharing your feedback and your kind words. Have a great day! Sweet. Please Yes, I always love to know feedback and your stories as we can all learn form others experiences. Have a great day. can we have dates. how many or quantity is recommended. Dates are high on sugar but they provide other nutrients like fiber. Since the challenge is only 20 days, I would recommend you to avoid dates during the challenge and after, once you feel the benefits and get rid of all added sugar, than slowly add dates to your diet. What do you think about it ? Great blog, say no to sugar and get a body in shape. These are great tips to help jumpstart a healthy living lifestyle! Thanks for sharing this wonderful information with us. keep posting and motivates us. Thank you for sharing all of this information, Sarah! I know how horrible sugar is for us and how it is the leading cause of obesity because it is in almost everything we eat. I don’t normally crave sweets but over the last 3 months my eating habits have been horrible, I’m likely eating 100 – 150 grams of sugar (or more) a day – usually before bed! But today is a new day 🙂 and I have decided to cut out sugar so I can start feeling better. My coffee is the one area that is hard to cut sugar – I add flavored Irish cream to my coffee and it adds about 18 grams of sugar in one cup (I only drink one cup), I am going to try switching to black coffee and see how it goes! I’m going extreme this first week to jump-start healthy living and will be eating the cabbage soup ‘diet’ for the entire week (just natural sugars in the veggies), if nothing else it’s a great detox! The cabbage soup is fairly low in calories so I will limit exercise for this week to light walks or the WiiFit. For Weeks 2 – 4 I will be eating more protein so I will drastically increase exercise to an hour daily (one day cardio/next day strength training). My end goal is to eat healthy, very low refined sugars (under 10 grams per day) and moderate exercise 4 – 5 days a week. Thanks for sharing your journey. In the beginning coffee with taste strange but after you start to get the real taste of coffee and I’m sure you will love it. When you add sugar on tea or coffee makes all the tea and coffees taste the same, but the fact is that each tea and coffee have a very different taste. Same happens when we eat too much sugar every day, we find everything non-sweet to be boring. Once you get all the sugar out of your diet, you will start to experience a lot of different tastes on your month. That’s a nice a solid plan. If you find it too much extreme make it lighter but don’t stop. Keep the journey every day is the most important, instead of only a few days a week. Light walks are a great start and once you feel more motivated go for some running(cardio). First days will not be easy, but keep your head up don’t give up and soon you will start the benefits. Soon you will find yourself in a better mood and much more energy. All the luck for your journey! i have been doing no sugar diet since 10 days now and i feel wonderful. I have a question – can i eat – Familia Cereal Muesli No sugar – (link in reply) for breakfast ? it says no added sugar and you have mentioned above we can have muesli so was wondering is this can be an option. I dont want to go wrong because i m doing good on my diet (more than expected :P). This is a great article and tells everything about No Sugar diet. Very Very helpful. The idea of this Challenge is to avoid any kind of added sugar or artificial sweeteners for 20 days. The goal here is to get rid of the sugar addiction and sugar cravings. Embrace the no-sugar mantra, with no jaggery or any kind of added-sugar for 20 Days. All the luck. I think it is challenging for me. Because i love sugar related food. But now i realized how much need to avoid this for my health. And i am going to apply these tips that are you recommended here. Hope it will help me about this. Thanks for the sharing this as a helpful post. Hi Heidi. All the luck for your journey. if you would like, share your experience to motivate yourself and others. Have a great day. I just read all your post & replies right from last year. I am a 115 Kg ,37 year old male who have not exercised neither gone on a diet for the past 12 years. I hope this 20 day challenege will be a catalyst for me. My wife have not conceived because of me for 5 odd years( I guess because of my obesity ). I will be kick starting this challenge coming Monday with the lord’s blessings. Kindly throw some additional light on this meal planner too. If you get rid of added sugar you will certainly lose weight. Plus, you will have a much better mood and more energy. Once you start feeling the benefits I’m sure you will have more motivation to keep on track and avoid all kind of high sugar foods and beverages. Once you’ve almost reduced added sugar from your diet, start to ( I don’t know your habits so I will just give some ideas) prepare your own meals. Homemade meals, fresh ingredients, no more processed/junk food. If you don’t like cooking, no worries, cooking is easy, just put a little bit of love on what you’re doing, and soon you will find the love of preparing something for you and your wife made of only fresh ingredients and the most beautiful intention of enjoying a lovely meal together. That’s lovely. You probably already know, but here are more than 250 recipes all for free. Next step I would say, have 3 meals a day: breakfast, lunch, and dinner. No more snacking. Eating all the time raises our insulin levels and puts our body on “storing energy” mode all day and we can’t burn the excess of energy. So, 3 meals a day to allow the body in between meals to burn some extra energy (glycogen) and doesn’t produce more fat (weight gain). Your tummy will probably make sounds and your head maybe will hurt, don’t worry you will not die, or be undernourished, that’s only your cravings screaming and playing their tricks so you have some processed/junk/high sugar food. Cravings or hunger? When Ask yourself, is it cravings or am I hungry? If it’s hungry you would eat anything, like for example raw carrot or lettuce, are you in a hungry for carrot? If your answer is something along the lines “no, I’m more into a cookie or some bread with something”. That’s cravings. Once you’re comfortable with 3 meals a day. You can try some low carb meals to reduce the amount of sugar, or go for a daily walk, or try some running or skip breakfast (intermittent fasting). Hope I’ve helped. All the luck for your journey.